I don't usually review my own work...and I'm not. But I'll review the other 6/7 of the book! Each tale weaves its own seasonal magic. Each magician has already warmed the hearts of thousands of young readers with their stories. Enjoy these frantic races to meet the Christmas deadline while you curl up in your favourite reading spot this winter. Details: 40,000 words (approx); 157 pages (approx, ebook)/ 184 pages (paperback) ; grade 4 +; ages 8 to 108. Publisher: Princelings Publications, 2014, 184 pages. Source: I got to proof the book for our group! There really is something in here for everyone. 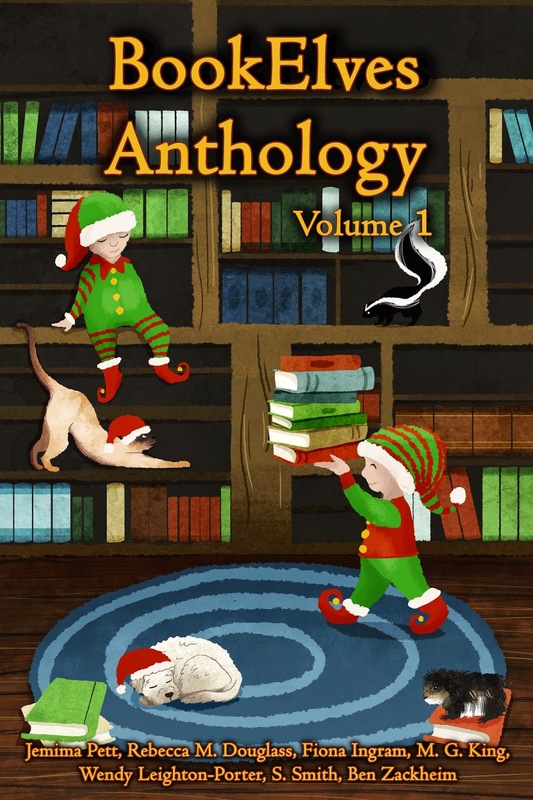 The stories are very different, but I enjoyed every one, and each had something to offer the reader: humor, inspiration, food for thought, and a faint whiff of candy canes and chocolate. 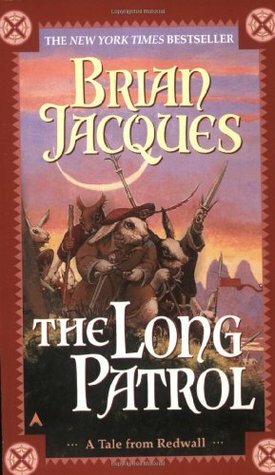 Most of the stories are spin-offs or bonus tales from series, from my own Ninja Librarian to the guinea pigs that inhabit the world of the Princelings of the East to Max the Tonkinese cat and Shirley Link, kid-detective extraordinaire. 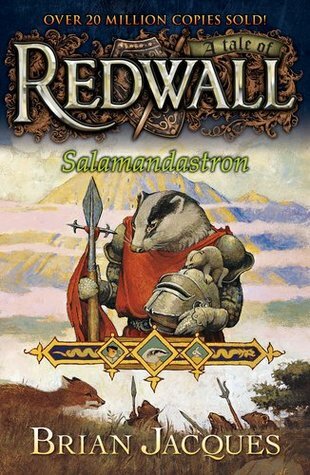 I have read some of the series, and for others this was my first encounter, and all the stories read well as stand-alone stories, as well as tickling my desire to delve further into their worlds. It's nice bunch of stories to curl up with as the holidays approach! It really is for kids from 8 to 108, though some stories skew more to the younger or older child, largely through variations in reading level. I recommend this for anyone, of any age, who just wants to spend a little time with some heartwarming holiday stories! Like it? Buy at Amazon in paperback or Kindle, or enter the Goodreads Giveaway for a copy all your own! Xavier Xanthum, Space Explorer, lounged in his PT pod, watching the nearby planetoid and playing with his cat. The pod had the best view window on the Wanderlust, and made a nice place to help Kitty Comet learn to cope with low gravity. And if watching a kitten play on a planet’s surface was amusing, watching one play in free-fall was even more so. “Just one more try, Kitty,” he encouraged. Xavier gestured at the view window, and Larry’s eyeballs rolled a bit in that direction. “Under the definition of ‘beautiful’ constructed from your preferences and those of others, yes. Are you going to land?” Larry never could quite forget that he was a computer, though a thoroughly self-willed computer. Xavier sat up, interested. He let go of the string, which began a very slow drift toward the recirc intake. Comet snatched it, and kitten and string tumbled in mid-air, tangling together. Xavier watched with a smile, but his mind was already on the possibilities the planet presented. A silence ensured, during which Larry ran something through his electronic mind. He liked to pretend that he thought at human speeds. “I wish you hadn’t said that,” was his eventual and un-computerish response. Xavier noticed his computer’s odd response, and didn’t rush. He did find that thinking first increased the chances of survival, in any case. Scooping up the kitten, he pushed off toward the control room, thinking. Whatever Larry had noticed, it hadn’t been definite enough for him to say right out. But he’d seen something. An hour later, Xavier gave up. “Larry, I can’t find a thing wrong with this planet. What has you so jumpy?” He maneuvered the ship into a somewhat closer orbit, in hopes of learning more without actually landing. Xavier whistled softly. Larry calling him “Captain” was a bad sign. Larry admitting to not knowing something was worse. “Look at the cat,” Larry commanded suddenly. Xavier spun around, grabbed a grip-bar to stop his spin, and spotted the cat. Comet was staring at the small view window, and her fur stood up all along her back. Her tail was twice as big around as usual, which made it huge, because in low gravity her fur stood out a lot in any case. “Meow!” The fur-ball turned her back on the window. The control room had just enough gravity for her to sit, raise a hind leg, and wash her unmentionables, in a clear act of defiance. Her fur did not settle down. “Wow.” Xavier wasn’t sure if he’d said it or Larry. The cat had never reacted like this before, and both the human and the computer eyes lingered on her before turning to consider the orb beneath them. Man, floating eyeballs, and cat stared intently at the views and data that filled every screen in the control room. Then the cat backed up, fur again standing on her back, a low growl coming from her throat. A bit later, Xavier thought he saw something. Again, the cat growled. “I will replay that segment.” It was as close as Larry would come to saying he had missed something. A computer ought to be able to see everything, but computer scan was not the same as the old Mark I eyeball. Even if the eyeball was disembodied. This time, as the scan ran, Larry kept one eye on the cat, and the other tracked where the cat was looking. Nothing happened. “Okay, we might have to go down just to see what’s happening.” Xavier had a hunch they shouldn’t, but he couldn’t run from a planet because something down there scared his cat. He began the descent sequence, while Larry and Comet kept watching the surface. Xavier’s hands were on the controls to bring them into the final swing around the planet when Larry said, “Pull up now. Now.” His voice had lost all human tones. That, combined with Comet’s yowling, convinced Xavier. With less than a second to spare before he was committed to landing, he grabbed the direct controls, breaking the orbit just as…something…reached for the ship. The cat was already curled up on nothing, nose to tail, ready to sleep off the effects of so nearly ceasing to exist. I don't have any reviews ready to go for today, but that's okay, because I need to remind you all about a couple of great offers. 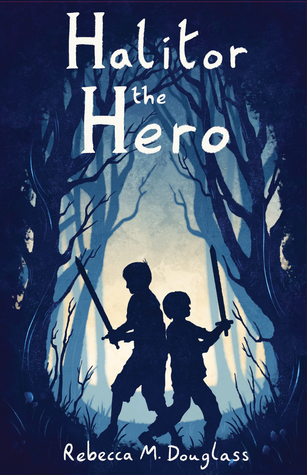 First: today is the last day to enter my Goodreads Giveaway for the humorous middle-grade fantasy Halitor the Hero! Open to all US Residents (international fans--watch this space--I'll be running an ebook giveaway in the first weeks of December!). Giveaway ends November 17, 2014. Next: The BookElves Anthology #1 is available for pre-order! Ebooks are just $0.99 at Smashwords and Amazon, with paperback available on the Nov. 25 release date (price TBD). Fellow BookElf Jemima Pett is offering the book as part of a bloghop giveaway right now through Nov. 29 (along with another great looking book)! Will the holidays be a disaster? Or will seven bookelves weave seasonal magic? (Yes, we have favourites and a touch of humour, because our beloved Editor-in-Chief, Jemima Pett, is British). 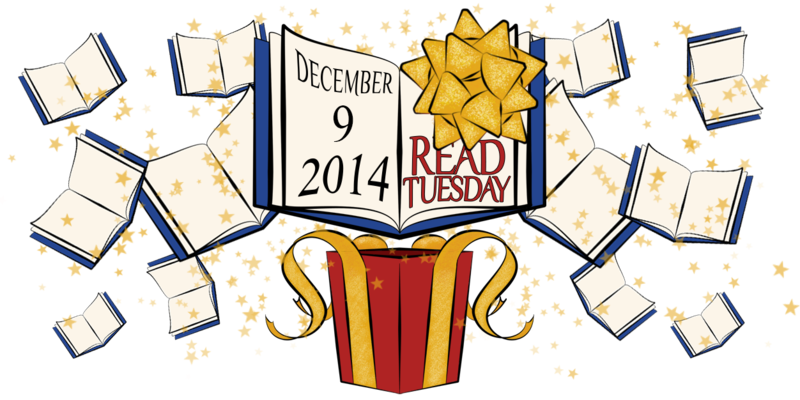 And, of course, we have the incredible Read Tuesday event--more authors featured every day! I don't have a review ready to go today. I could blame it on having been on the road with my oldest son, visiting colleges (colleges? We're just getting some traction on this parenting thing, and it's almost over?). That would even be partly true. But I'm also working hard on all the final details for Halitor the Hero, which is still on schedule for its Nov. 30 release date! There's a lot to do. Once the MS is clean and lovely as far as content goes (got there last week), the formatting begins. I spent yesterday in battle with MS Word getting it to where the ebooks should be perfect (I often wish my books had illustrations, but I admit that it is easier to create an ebook without them!). Now I'm working on the print version, which is easier in some ways (no need for live links!) but requires more of what I'm less good at, i.e. an artistic sense. This font or that? And I set myself a big challenge this time: I hired my amazing cover artist, Danielle English, only for the front cover. I'm doing the back and spine myself. In theory, this is well within my skills. In practice...the jury is still out! Once that's done and all the chapter heads are just as I want them (and headers! footers! page numbers! ), and I upload the whole thing, I'll finish that short story for Friday's blog and get back to your regularly scheduled entertainment! Oh, and about that "NaNoEdMo" idea, where I was going to get Death By Trombone through the first round of edits by the end of the month? Not looking so good! But I am working on it, so I know I'll get there eventually. Maybe even by the end of the year (just in time to start the second round of edits in the new year). Meanwhile, you can pre-order the ebook of Halitor from Amazon AND from Smashwords! 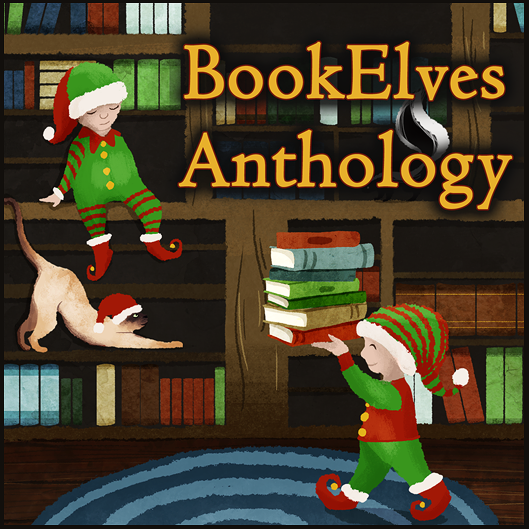 And don't forget the exciting pending release of the BookElves Anthology! I'll link up as soon as we have a pre-order page, because there are some cool holiday stories in there! Huge thanks to Princelings of the East author Jemima Pett for all the work she's doing on this! And don't forget that Goodreads Giveaway for Halitor! It is July 1934, and Lady Georgianna Rannoch, 35th in line for the British throne, is relaxing after her last adventure. But her mother puts an end to all that, and in minutes Georgie is packing to sail for America. Her mother is headed to Reno for a divorce, but she meets Hollywood movie mogul Cy Goldman on the ship, and soon Mummy and Georgie are off to Hollywood to make a movie with Cy. Georgie couldn't be happier, especially when her sweetheart, Darcy, shows up. Even murder, arson, and theft can't completely dim her pleasure in his company. This is another fine addition to my favorite of Bowen's three series. Lady Georgianna is a lively and humorous narrator, with a keen eye and a dry sense of humor. The plot is, as usual, a bit intricate and characters are sometimes over the top, but that is not so much a flaw as a deliberate stylistic choice. I think I prefer the books set in England--maybe because England is exotic and Hollywood is just down the coast. Of course, for Georgie it's just the opposite, and American fashions and manners give her all sorts of fun troubles. I enjoyed the entire romp, and only figured out part of the mystery, and that only about half a page ahead of Georgie. The "Royal Spyness" mysteries aren't for everyone, but if you enjoy a bit of absurdity with your murder and mayhem, you are the right audience. This is a worthy addition to the series, which I recommend reading in order. 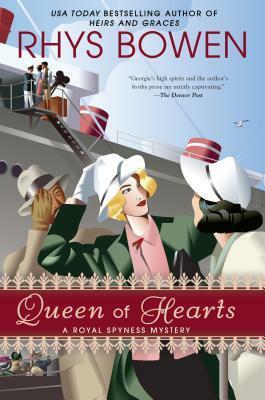 Queen of Hearts may have a greater appeal to English readers than American, but I could be wrong. The author certainly captures the period well, whether in the US, aboard ship, or in Hollywood--or that wild frontier town of Reno, Nevada. Full Disclosure: I checked Queen of Hearts out of my library, and received nothing from the writer or publisher in exchange for my honest review. The opinions expressed are my own and those of no one else. I am disclosing this in accordance with the Federal Trade Commission's 16 CFR, Part 255: "Guides Concerning the Use of Endorsements and Testimonials in Advertising." Algernon picked his way among the casks, ears swiveling and whiskers alert. It was here somewhere, the source of the new and intriguing smell that had tormented him all day. He’d been lying up in his nest, trying to sleep, and all day his nose had kept twitching. It was no good going out in the day, though. Even if he didn't get stepped on or have a cask dropped on him, someone might see him. Then they would set out traps for him to stumble into, or even bring in a cat! Dreadful things, cats. A cat might appear to be a big ball of sleeping fur, but in an instant it would become all sharp teeth and sharper claws. No, Algernon was too wise a mouse to go out in the day time. It wasn't as though he needed light to find his way around the cellar. 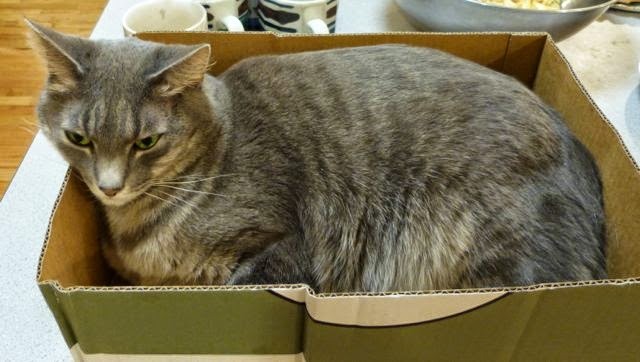 He waited patiently until all the large bumbling humans went away before he stuck so much as a whisker out of his hole. Algernon's nose led him down among the great casks. Those all smelled as usual. Nothing interesting about the wine in them—until he reached the small cask at the end of the row. There, his nose twitched more fiercely than ever. This was the one. The humans had been agitated about it all day. There had been much coming and going up and down the line of casks, every crashing passage of tramping feet awakening Algernon in his nest. He was safe in his home inside the wall but he couldn't sleep on account of the noise. And the scent. Algernon gave a great yawn. Then he walked around the small cask, sniffing as he went. This one might do. It really might. The humans had seemed somehow distressed about it. They could tell that it wasn't going in quite the usual way. But they were too senseless, poor creatures with great useless noses, to notice what Algernon did. This was the wine he'd been seeking all his cellar-exploring life. At that moment, Algernon heard footsteps approaching, and he had just enough time to hide under the wooden walkway before the door opened and a blinding light came on. Two humans came down the walkway. “I’m disappointed, Charlie, but I understand. After all, that's why we experiment in smaller quantities.” The man wearing a suit and tie pried open the top of the cask and sniffed. “It's not awful,” he said. The suit sipped, swirled the drink about in his mouth, and spat onto the floor, to the evident distress of the other man. Algernon was shocked. What kind of person would spit in the very place where the most amazing wines were made? Who would spit out that heavenly brew in the small cask? Surely even humans were better than that! The spattered liquid spread the smell more strongly than ever. Algernon held his breath and kept listening. Dump it? Get rid of the best wine they'd ever made, and destroy the oak for a cheesy overtone? Algernon stiffened in shock. “Right, Boss,” Charlie answered, tapping the lid back in place on the cask. As they walked away, he cast one look back, and shrugged. He turned off the light and closed the door behind him. Algernon came out of his hiding place. He took one final sniff at the keg, and the wine that had been spattered on the floor, and flicked his tail in satisfaction. Then he ran to the far end of the cellar, crept into a large hole, sat back on his haunches and gave a mighty squeak. A veritable battalion of mice appeared from all directions. 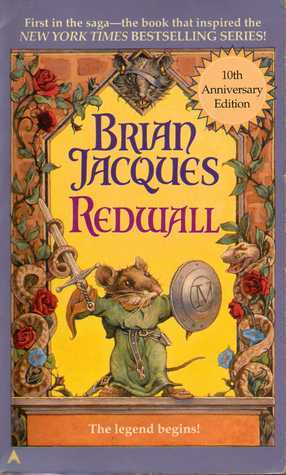 Working quickly at Algernon’s direction, they tipped the cask carefully on its side, rolled it the dozen or so feet to the hole, which several mice were quickly enlarging by removing several loose planks, and rolled the cask down a long passage into a surprisingly large room in the heart of a wall built to look like the thick wall of a castle. Setting the cask carefully upright on a small dais, the stepped back. Another team of mice appeared from the other direction, rolling a pair of immense wheels of cheese. “The humans rejected these. They said these cheeses smelled too strongly of cheese!” All the mice laughed. Humans were weird. “Three cheers for the explorer of the best vintages!” called an old mouse, and the room filled with enthusiastic squeaks. “Hey, Charlie, didn’t you say to haul that experimental keg off this morning?” A worker called across the room. Algernon sat up feet thudding past his hole, making his head ache worse than ever. “Huh. Boss must’ve sent someone down earlier to make sure. Fine, less work for us. Though you know, I kind of liked the stuff,” Sam said under his breath, casting a glance around the room. Algernon lay back down with a smile. Once again they had outwitted the humans. The mice would party for a year on that cask. Halitor wants to be a Hero and ride through the world rescuing Princesses and Fair Maidens in distress, but he’s hindered by his tendency to trip over his own feet and drop his sword when he gets excited. So when his Hero apprentice-master abandons him at an inn in Loria, he resigns himself to life as a kitchen boy. But he’s reckoned without Melly, the young kitchen wench. She wants his help finding her father, and she won’t quit until she has it. Soon Halitor is tramping through the mountains fighting ogres and dragons and just trying to stay alive. Along the way he learns a lot more than just how to be a Hero. This fun fantasy adventure has a good dose of humor and plenty of excitement to keep kids turning pages. Enter now to win an advance review proof copy, signed by the author. Offer open only to residents of the US (or people with a US mailing address). Not a US resident? Don't despair--I'll give away some electronic copies after my November 30 release date, so watch this space! Yes, friends, November has begun, and with it National Novel Writing Month. What, you ask, is National Novel Writing Month? For those of you who are new to the scene, NaNoWriMo (NaNo) is a semi-organized challenge to write 50,000 words in 30 days (so actually not really a whole novel, unless you are working on a kid's book, in which case it's probably too long). Why? Because having a whole lot of people doing the same thing, and talking about it, is a great inspiration. And having an on-line word tracker to tell you if you made your daily target (roughly 1,666 words each and every day will do it) can be a big motivator. If you've been thinking about writing a novel, check it out. For more information, visit the NaNo web site, and check out the pep talk from one of my favorites, Chuck Wendig (yeah, the guy with all the weird writing prompts). Now, before I ramble on about this, confession time: I am not participating this year. Last year I drafted a sequel to Death By Ice Cream, and at last I am ready to revise it (I had a couple of other books to finish first, including Halitor the Hero, coming out Nov. 30th!). So I'm having a fine NaNoEdMo (national novel editing month). But I intend to feed off the energy NaNoWriMo generates, in hopes of actually ending November with a solid second or third draft, ready for beta readers and editors. But after participating exactly once, I'm going to brazenly offer some tips, or at least ideas, based on my experience. 1. Make an outline. If you read this and suddenly decide to participate, you are probably sorely tempted to just start writing. Resist the urge. Even if you are not normally an outliner (that would make you a "pantser"; i.e. someone who writes by the seat of their pants) I strongly recommend making at least a rudimentary outline. I did it last year (for the first time) and got two benefits. For one thing, I could turn to the outline when I got stuck, and always have a suggestion about what to write next. I am reaping the other advantage now: this is definitely the most coherent first draft I have produced to date. Even if you just make a list of plot points you want to hit, you'll thank yourself later. 2. Make a few NaNo friends. This will give you someone to whom you are accountable. You can either feel a desperate need to sit down and write as they pull ahead of you in the word count, or you can feel smugly pleased when you hit your target each day and they don't. Either way, you are more likely to keep writing. On the flip side: if your NaNo friend stops posting word counts, ask if everything is okay. A friendly hand up goes both ways. 3. Read a few of the blogs and forums about dealing with problems and keeping motivated, but don't get sucked into the black hole of the Internet. Maybe put your Facebook folks on notice that you are not going to be around much, and stick to it. You are going to need to carve out a couple of hours (at least) of writing time each day, and that means reducing distractions, because you still have to do your day job. 4. Leave blanks. Don't be distracted by the need to research obscure things or come up with a lot of names. I am finding all sorts of interesting blanks in my MS where I didn't want to take the time to look back at the first Pismawallops PTA novel to find a name or details of an event. Keep your momentum! 5. Whatever you end up with is more than you started with, so don't beat yourself up if you don't meet your targets. Just keep on writing through December, January, and whatever it takes. 6. Don't publish what you have at the end of the month. I cannot emphasize this enough. A draft is not a novel. It's a good start. Celebrate your good start, let it sit a few days or weeks or months, and then start revising. Good luck with the writing, everyone!